Thinking about getting into Real Estate Investing but do not know where to start. Here’s your solution – The SW Florida Real Estate Club. This program has been developed at the request of many of the members of the SWFL- Real Estate Investors group. The biggest fear of many interested in Real Estate Investing is how to get started. This program will not only assist in that decision, mentoring will be offered all through the program. Our Newsletter will list properties we are considering or have under contract. Most importantly, we will find properties for you to buy individually or as part of the group. To get on the Newsletter mailing list, email InvestSWFL@gmail.com. Subject line – Add me to the list”. The live meetings will be posted at http://www.meetup.com/SWFL-Real-Estate-Investors/. Subscribe to get meeting notifications. 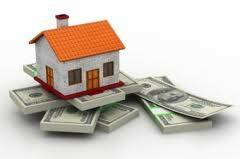 Let’s start buying Investment Properties!